Jan. 9, 12:41 p.m.: An officer spotted a woman on Nichols Avenue who was known to be wanted on a warrant. The officer detained her without incident, and the 40-year-old Watertown woman was arrested on the warrant from Waltham District Court for a probation violation. Jan. 9, 2:10 p.m.: A man was spotted in the area of Quimby Street who was wanted on an arrest warrant. The man was stopped and placed into custody. The 47-year-old Watertown man was arrested on the warrant from Concord District Court for traffic offenses. Jan. 10, 5:10 p.m.: An officer who responded to a road rage incident on North Beacon Street and learned that one of the drivers had an active warrant. The 26-year-old Dedham man was arrested on the warrant from the Dedham District Court for driving with a suspended license. Jan. 7, 7:50 p.m.: A Gleason St. resident found an egg yolk smeared on her back porch along with some egg shell. It appeared to be one egg that was thrown at her porch sometime between 6 p.m. and 7:50 p.m. that day. Jan 10, 9:25 a.m.: A resident told police that he received a piece of mail from Home Depot in November, but since he didn’t have a Home Depot credit card he put it aside. In December, he received another letter saying that he had an overdue bill. He called the Home Depot credit card line and found out that someone opened an account in his name at the Watertown store in October. A charge of $920.13 was made on the card. Police are working with Home Depot to investigate the fraud. Jan. 11, 10:48 a.m.: A Main Street resident discovered that someone took both license plates off of his vehicle. He is not sure when it happened, or who would have done it. It occurred sometime on Jan. 9 or Jan. 10. 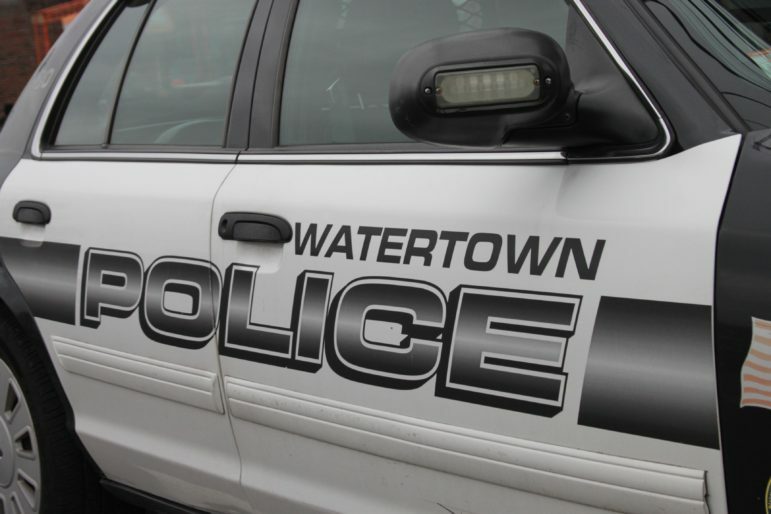 Jan. 11, 6:33 p.m.: A package was reported stolen from a Watertown home. The U.S. Postal Service confirmed the package was delivered at 2:25 p.m. The resident came home at 4:30 p.m., but could not locate the package. It reportedly contained a $500 pair of sneakers and a fanny pack worth $2,100. Jan. 12, 10:55 p.m.: An employee at the BP gas station on Galen Street started his vehicle to let it warm up before he went home. He went back into the office and then he saw someone get into his car and drive off. He ran down Galen Street after the car and got to Morse Street before it pulled away and headed toward Newton. The man could not get a good description of the thief. The 2011 Toyota Corolla was found two days later by Weymouth Police at an apartment complex in that town. It appeared to have been involved in an accident because it had significant damage. I know. Crazy. I looked up fanny pack and $2000 and some items came up on Google. Is the owner of that fanny pack named Pinochio?